This following post is for the students who are non-Illinois residents. For my Canadian readers, Illinois is the state that Chicago city is in, which is equivalent to your provinces. Most of us have drivers licenses from our home state so we are not eligible for a lot of benefits from the Illinois state, such as medicaid. Parking in Chicago is a b****. You have to spend at least 10 minutes driving around to find a parking space. And it ‘s worse when it snows because some spaces have snow piled up and solidified so you can’t drive over it. 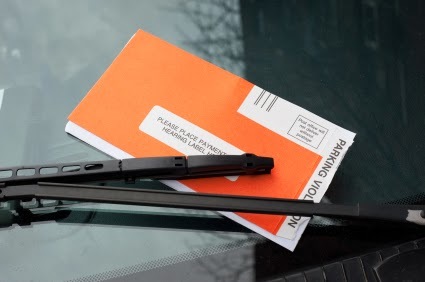 There are times when you are just 5 minutes late and you show up to the meter only to find an orange envelop on your windshield. yeah you know what I’m talking about. If you are lucky then the ticket is only $60, if you are not lucky then it’s a lot more. If you plan to stay in Chicago only for rotations then DO NOT change your car’s license plate to Illinois license plate. Also, do not transfer your driver’s license to the Illinois driver’s license. The benefit of keeping your home state license is that if you get a ticket for the first time then you can contest it, as in you can challenge it. You have 90% shot of getting that ticket waived and so you don’t have to pay for anything. Chicago police usually target people with Illinois license plate, and they are lenient on cars with out of state license plates. Also, if you got many parking tickets then do not pay it but contest it because if the records show you didn’t do anything then you will get a boot on your car. A boot is this yellow metallic lock which the police will put on one of your tires and so you cannot drive your car. If you pay your ticket after you get a boot then you also have to pay extra to have the boot removed from your car. Also, when you park somewhere, check for the sign on the side of the road. These signs specify what times the streets will be cleaned and what times it’s free to park. If you park your car on the street when they are cleaning it, then you will get a $50 parking ticket.